Mike Mullery of Mullery auctioneers has just brought to the market a stunning two bedroom residence in one of the most desirable locations in the city. Number 1 Canal Court is situated in a small development of six homes which boasts an idyllic location overlooking the canal on Canal Road Upper. This beautifully presented residence is situated to the front of the development. The light filled open plan layout of the ground floor comprises a living room to the front with a large window overlooking Canal Road, and a kitchen to the rear. Upstairs, there are two bedrooms as well as the bathroom. The property benefits from upgraded electric heating, a solid fuel stove to the living room, and a floored attic storage area accessed via a pull down ladder. Outside, there is a garden to the front and small garden area to the rear as well as a storage shed and parking accessed via electronically controlled gates. 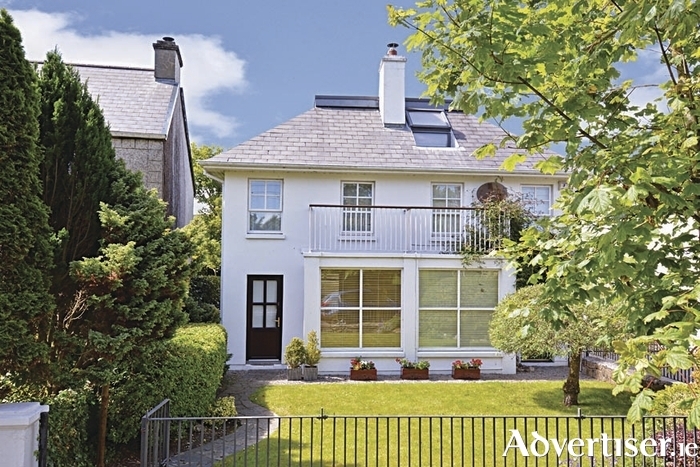 Canal Road Upper is a tree lined cul de sac boasting an enviable location adjacent to the university, hospital, Galway Cathedral, and within a short stroll of all local amenities as well as the city centre. This attractive residence is a real gem offering beautifully presented accommodation in a stunning and highly sought after location. Full details are available on www.mulleryauctioneers.ie, or call Mike Mullery on 087 6424106 or 091 567275.